The second part of this series on college student, Anna Mae's, skin care and cosmetics routine is all about what is in her makeup bag. Anna Mae is super busy but still takes time for herself each day, by keeping her skin clean and hydrated, followed by cosmetics that work for her lifestyle, budget, and skin type. Anna Mae has extremely fair skin. She has that complexion most women dream of, but that means selecting the right shade of foundation isn't always easy. She's had the unpleasant experience of having her neck look a shade lighter than her face. "Icky," she says. Rimmel's Match Perfection does an excellent job matching Anna Mae's skin tone without caking around the fine lines on her face. She's able to get great coverage with just a little product, applied right after moisturizing. Mixing a small amount of foundation with your daytime moisturizer is a good way to get light coverage without looking too done up. Just be sure that either the foundation or moisturizer (or better, both) have good sun protection unless you use a separate sunscreen. Sun protection should be a year-round priority, not just to help prevent skin cancer, but also to make sure those dark spots, wrinkles, and lines come much, much later in life. If you're interested in trying Rimmel Match Perfection, which is designed to mimic skin's texture and blend easily, CVS is selling it for just $5.99. 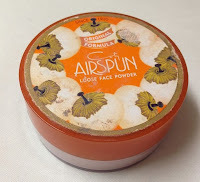 Airspun Loose Face Powder has been around since 1935. As far as I can tell, it's currently sold by Coty, which interestingly also owns Rimmel, N.Y.C., Sally Hansen, and OPI, among others. 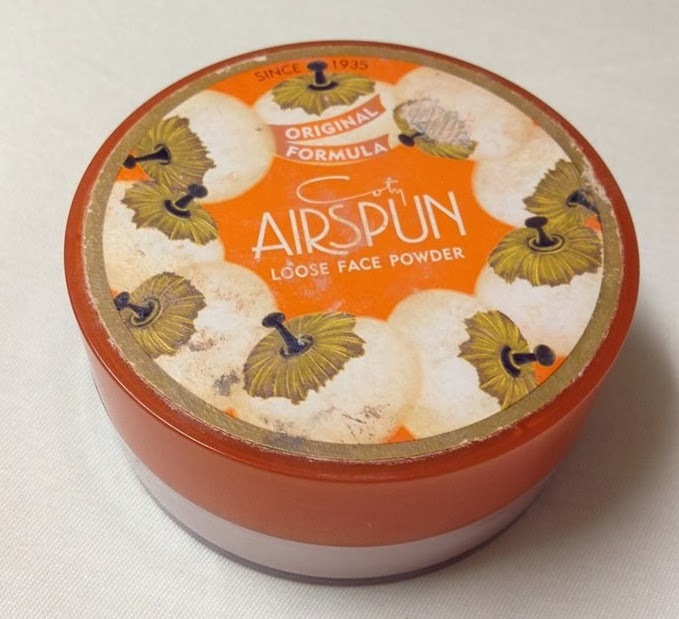 Anna Mae's mother and grandmother have been using Airspun Loose Face Powder for years and since it has worked so well for them, Anna Mae now swears by it. She likes how well it sets her makeup, providing lasting coverage without shine. Anna Mae honestly has never used another powder, but she loves this one so much, she never plans to try anything else. Her hope is to someday pass along Airspun Loose Powder to her children. Before Anna Mae shared her list of favorite cosmetics, I'd never heard of this powder. I Googled and read reviews, checked out where it's sold (amazing that I've never noticed it in the makeup aisle), and now really MUST try it. It's now on my Amazon wish list! If you're curious to know more, you can certainly Google yourself, but here's one person's detailed review on Yahoo Voices. Anna Mae didn't set out to buy this mascara. It was more than she needed a simple replacement until she found a new one she really liked. However, she's found that COVERGIRL Professional works well with her already thick lashes, helping them look longer, but without spending a ton of money on a high-end product. There are so many mascaras out there. Each brand has several and each claim to do different things. You want more lashes? Maybe thicker? Longer? Fuller? Everything? Shiny, less clumpy, shimmery, different colors, it's overwhelming! My absolute favorite is out of my price range, except when I'm treating myself during the holidays or for my birthday. If you have the money and want to splurge a bit, you can also try Lancome L'Extreme Instant Extensions Lengthening Mascara, which typical runs about $27. Since you really should replace your mascara several times a year, especially after being sick, buying $27 mascara isn't the most cost effective for college students. If you've tried COVERGIRL but it wasn't for you (everyone has different taste when it comes to mascara) try New York Color Sky Rise Lengthening Mascara. Given it's super cheap price, it's rather outstanding. When Anna Mae told me what she uses for eyeliner, I double checked my makeup basket. Sure enough, there was the eyeliner I just picked up for my Ruby Gloom Halloween look! I prefer black since my lashes and hair are so dark, but Anna Mae uses Coffee, which is just right for her paler skin and bold red hair (which, I believe, is totally natural). 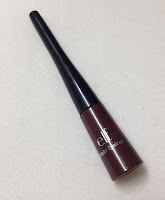 Anna Mae picked up this uber cheap liner but was suprised to find it worked better than the $17.99 stuff at Sephora. She likes the sturdy brush and how quickly the liner dries. She says it's great for making wing tips. Direct from the source, "I cannot get over how affordable and fabulous this product is!" I have to agree. While for day, I prefer to use a pencil liner, at night, I like a bolder look and this liner does it for me. I don't get much smudging when it gets wet, but it comes off easier with makeup remover than my pencil liners do. Anna Mae loves one of M.A.C. 's most popular colors, which is a little hard to get. However, she believes it's totally worth the price and the wait. Twig is a dusty red with a smooth application and moisturizing, rich color that doesn't cake or bleed. She primes her lips with Chapstick to help the color go on more smoothly and last a bit longer, while looking really natural. 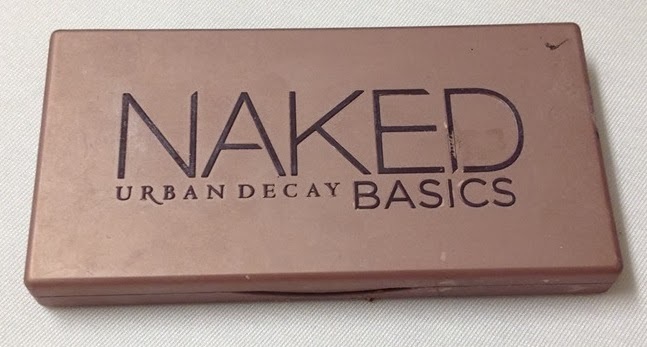 When I looked for the Naked Basics Palette, I was totally shocked at the price. I'm someone who wears eyeshadow so rarely that I usually stick to whatever is on sale at Target. Normally, college students won't be running out to splurge on this, but if you ask nicely, perhaps you can get it as a birthday gift from mom. Hint, hint. 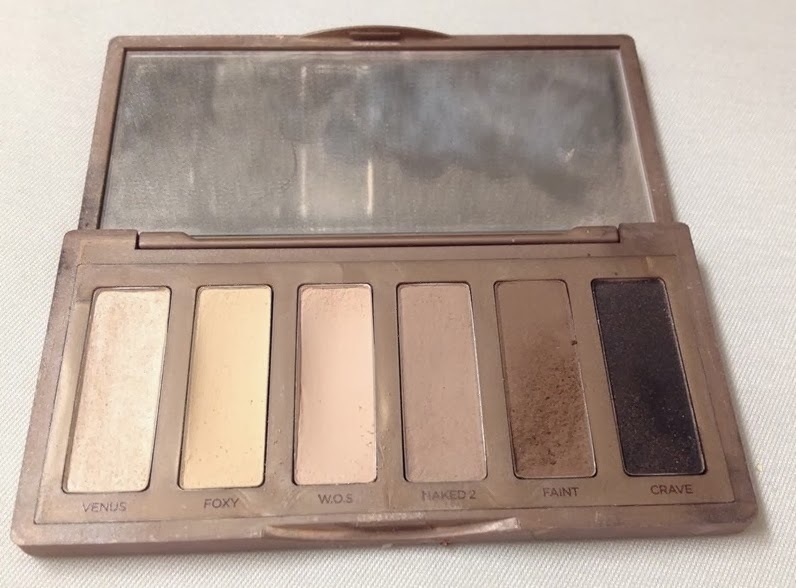 Anna Mae got her set for Christmas last year and she still considers it her favorite palette of all time. The color is extremely concentrated, so she only uses a very small amount. This works nicely with her very natural look. She's also tried these colors on her friends, who have varying skin tones, and they all looked fabulous! I use brushes for most everything. I used to use a brush for applying foundation but I did stop that since I think most of the product was in the brush instead of my face. 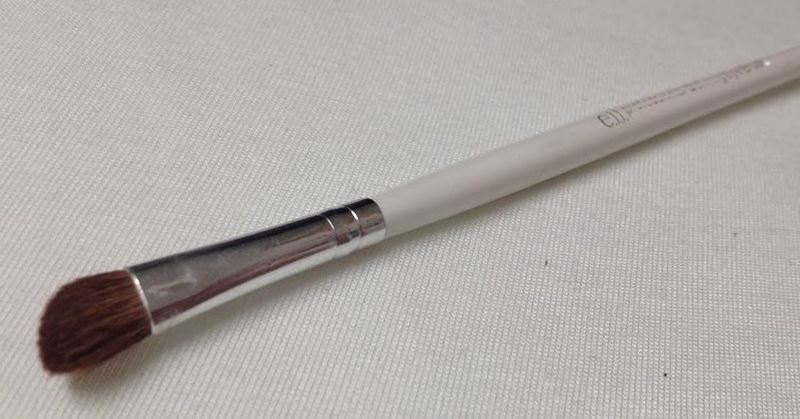 Brushes are great for eye makeup, blush, and definitely for lips (best way to get smooth, lasting coverage). Anna Mae suggests E.L.F. 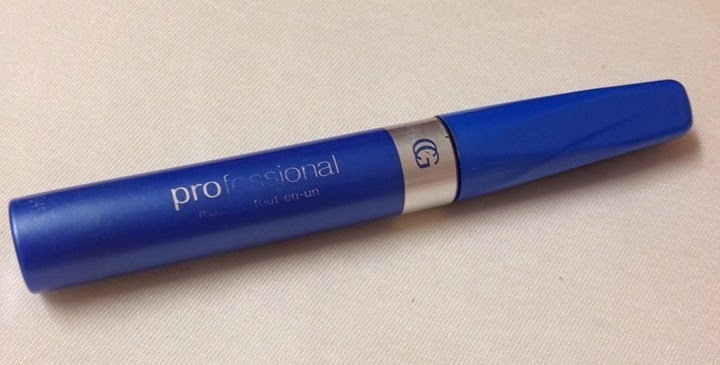 's professional defining eye brush. It's thin and angled, which is great for detail work. She also uses it as a general color brush. It's super affordable and available at many major retailers. If you have any questions for Anna Mae, or are curious about the products you've read about, definitely give me a buzz! You Wanted to Know: "MidNite sleep aid FDA"